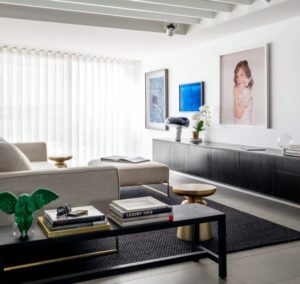 Designer Man Cave shared one of their favourite transformations on the blog this month which was located in the award winning Altair Building. 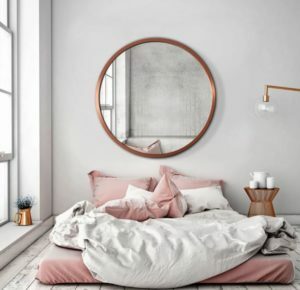 We love the chic minimalist Scandinavian feel. 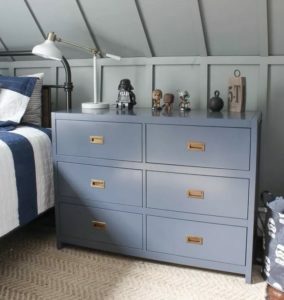 A tiny detail but one that can transform the space, Style Curator talks handles this month and showed us the styles that can take wardrobes, cupboards and drawers from drab to fab in minutes. 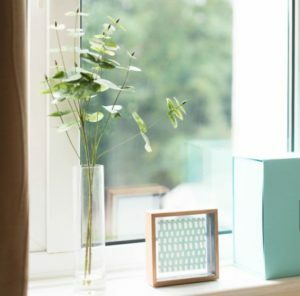 Upcylist blends autumn style with environmentally friendly products in this post. 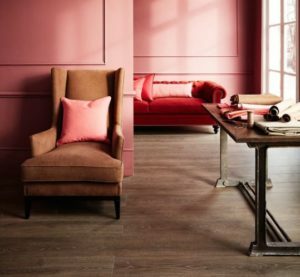 Having done the research on the paint brands which actually are ‘natural’ they list their favourite shades for the season. We fell in love with the super chic townhouse when we spotted it on A cup of Jo last month. Filled with endless style statement yet with a refined overall feel, it is a fabulous way to spend a coffee break engrossed in. 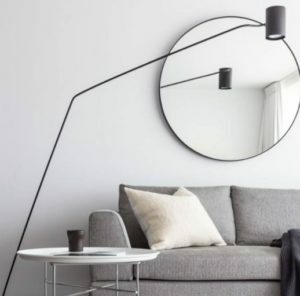 Bodie and Four shared their love of oversized mirrors in September, and we couldn’t agree more! Take a look at their 15 favourites perfect for any bathroom. 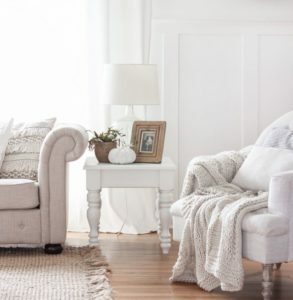 Daily Dream Decor has come over all grey for the new season. 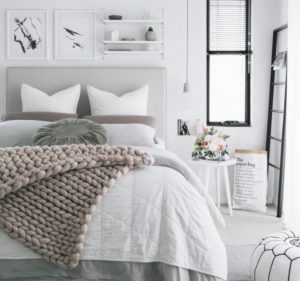 With four beautiful rooms to explore, there are also top tips for creating your own dreamy grey bedroom. We love a good DIY post so we couldn’t get enough of this one on Poppy Talk. 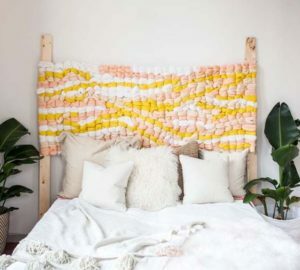 From creating your own light fixtures to boho headboards, take a look at these fun DIY projects. 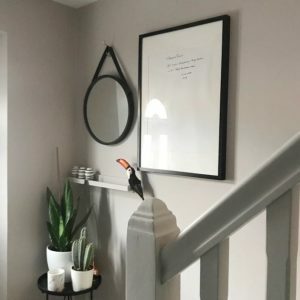 Number Five Interiors shared a sneak peak of their new hallway revamp last month and also showed the original room when they first moved, their first redecorating and how they achieved their newest hallway space. Another simple yet effective DIY project perfect for autumn is this charger plate revamp from Ella Claire. 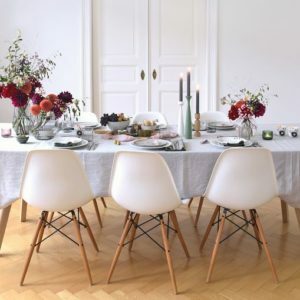 From what bases to start with to giving them a ‘natural’ patina look, this project will help you update your dining table. 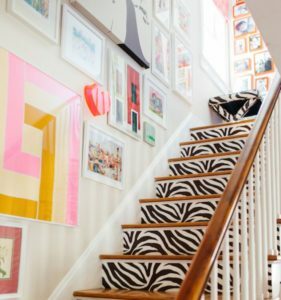 The LuxPad takes a look at five fashion designers from Missoni to Karl Lagerfeld who have effortlessly made the move from fashion to interiors for you to give your home the designer edge. 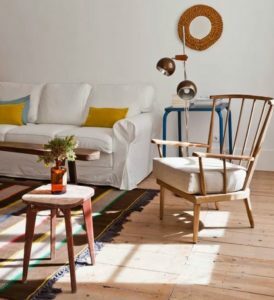 This colourful living room tour on Effortless Style has all the bold inspiration you need if you are looking for an autumn pick me up in the home. 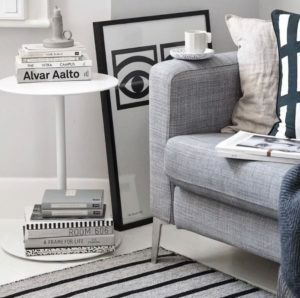 A grey sofa is timeless in any living room and corner sofas are only growing in personality thanks to the additional space their provide in small homes. Take a look at Cate St Hill’s favourites. 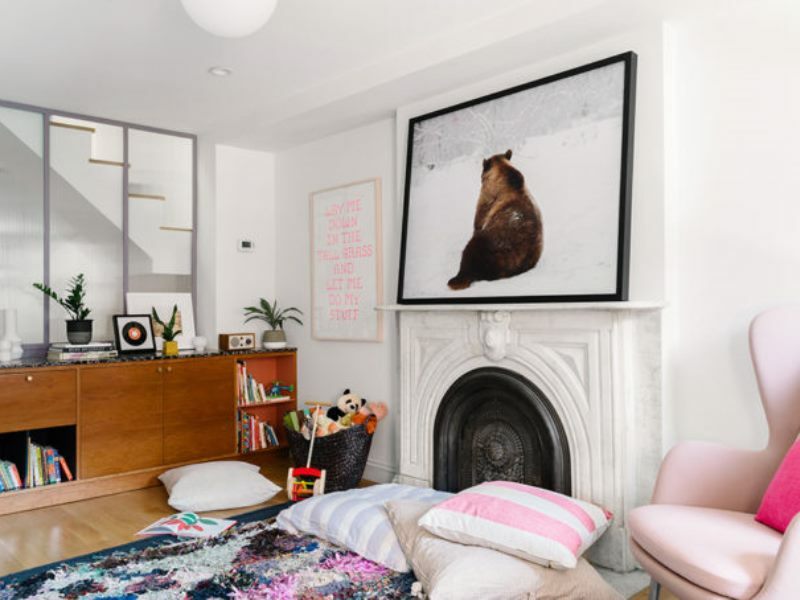 Decorating for teenage boys can be a minefield but this reveal on Rooms for Rent ticks all the right boxes for a fun yet relaxing environment for your young adults. 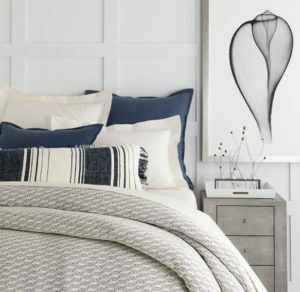 Changing your bedding and bed linen will give your bedroom an instant refresh for very little effort and here Annie Selke has rounded up her favourite designs for autumn. 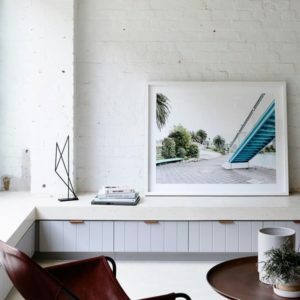 Take a look around this Sydney apartment on the shores of one of the world’s most celebrated beaches which was once a humble beach flat but now oozes enviable style. 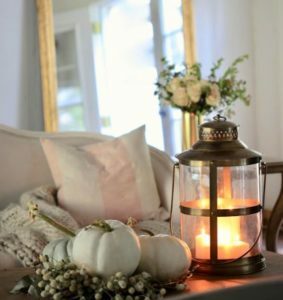 You don’t need to overhaul your interior to welcome autumn into the home, just a few seasonal touches can do the trick too as shown on French Country Cottage. 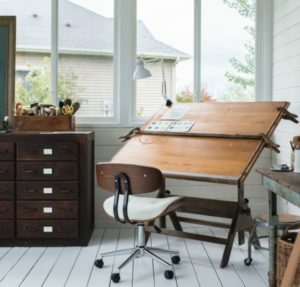 Miss Mustard Seed has been sharing her renovation of her studio on her blog and this post sees the walls go back on to give the space its overall look with just a coat of paint needed to finish. 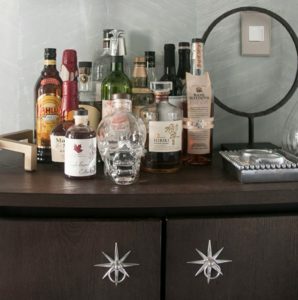 We love a home bar and feel it is something every home needs, whether you opt for a simple bar trolley or whole room, these post it filled for fun bar inspiration. 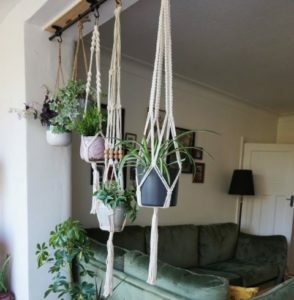 The bohemian look is still going strong and in this post from September, Old Fashioned Susie shows you how to get the style in your living room. 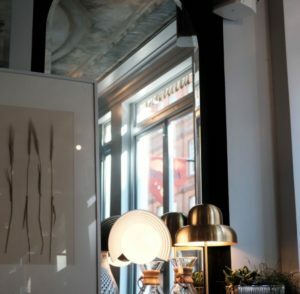 Arva took a tour of the newly opened Henrietta Hotel last month which sits pride of place in Covent Garden and we can’t wait to visit the Ollie Dabbous run hotel ourselves. We found yet more fantastic autumn interior inspiration in this post on Love Grows Wild and we especially love the dried wheat wreath filled with lavender. 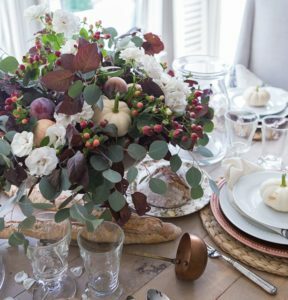 Autumn table settings leave so much space for creativity thanks to the multitude of colours and design elements associated with the season. Take a look at their inspiring dining ideas. This calming and soothing nursery is the perfect read for those expecting and the before and after shots will amaze you. Lisbon is a super stylish European destination to explore at any time of the year. Here These Four Walls Blog rounds up the chicest places to stay when in town. 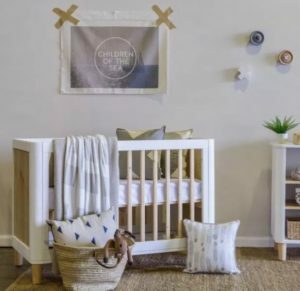 As one of the best surprises to experience in life, many soon to be parents choose to not find out the gender of their baby until they are born so gender neutral nursery inspiration is always highly sought after. Take a peek at these top gender neutral styling tips.